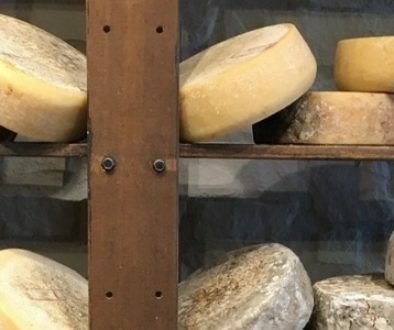 Aged cheeses are a point of pride for cheese makers and loved by many consumers. However, in today’s market, as producers are pressured to cut costs, the quality of some aged cheeses has suffered. The tips below with help you make good, consistently aged cheese. Milk quality is essential because even a relatively low count of contaminating bacteria, such as heterofermentative Lactobacilli, or spore formers, such as Clostridia, can produce off-flavors and gas during aging. For aged cheddar, the Center for Dairy Research (CDR) recommends that heterofermentative Lactobacilli counts in raw milk should be less than 100 colony-forming units per milliliter. 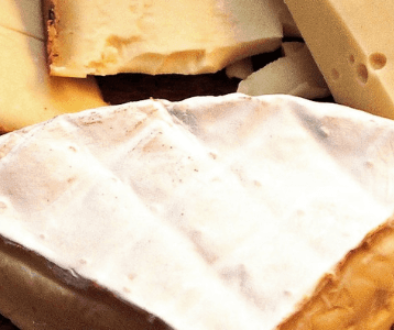 Poor sanitation and biofilm formation on process equipment can also contribute to contamination of the cheese. We also need to use good ingredients such as fresh milk, top-quality milk solids (old milk powders can contribute to stale off-flavors) and milk fat (preferably fresh cream). The starter culture needs to be healthy, vigorous, and phage-hardy. Salt should be high in purity. Don’t be stingy with your starter culture – this can negatively impact the rate of acid formation. Acid production in the vat (prior to renneting) solubilizes some calcium from the protein structure. If insufficient calcium is solubilized, the cheese tends to be curdy. For cheeses that will be aged at least nine months, a pH range of a 4.95 to 5.15 at one month of age is preferred. Lower pH values tend to produce a more acidic cheese, a higher pH produces a more curdy cheese. There is also a temptation to use less rennet and more calcium chloride for coagulation purposes, especially when using concentrated milks. This needs to be avoided, especially when making aged cheddar, because in addition to coagulating the milk, rennet jump-starts the process of proteolysis, which is critical for proper cheddar flavor and body formation. Over the years, make times (the time from set/renneting to salting) have dropped dramatically, which has resulted in lower-quality cheese. We recommend a make time of three-and-a-half to four hours to produce good aged cheddar. Cheesemakers also need to develop a consistent make procedure, which will result in consistent rates of acid production. A consistent make procedure will also ensure that the proper amount of whey is expelled before salting and hooping (to avoid whey taint). Other critical aspects of making good aged cheddar include salting uniformly (providing enough time for salt uptake by curd) and providing sufficient time for whey to be expelled from the curd after salting. For aged cheddar, we like to see no more than 37% moisture and a salt-to-moisture ratio of 4.8. For economic reasons, there is a temptation to accelerate the ripening process by “force curing” at elevated temperatures. Although this results in faster curing, it also increases the risk of undesirable flavors and gas formation. 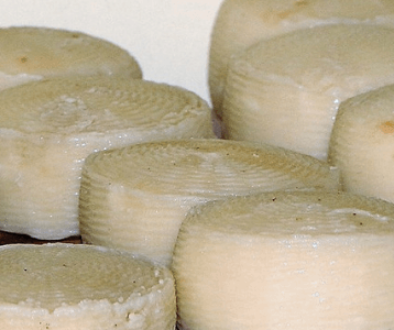 The CDR initially cooling down aged cheese to between 40 and 43 degrees Fahrenheit and then later ripening it at 50 degrees Fahrenheit or below. Higher ripening temperatures may allow undesirable fermentation if the wrong bacteria are present. Unless all the sugar is fermented, gas formation could occur if the cheese is ripened at warmer temperatures. During the aging of cheddar cheese, the flavor profile should become sharper and more complex without any pronounced bitterness or uncharacteristic flavors. As the cheese ages, an experienced cheese grader needs to inspect the cheese at least once every two to three months to monitor flavor development. The grader can determine when cheese is likely at its flavor peak and should be pulled from the aging program. Producing quality aged cheese isn’t easy. It takes time and good manufacturing practices, but the results are well worth the effort.